Textron Aviation’s Citation Latitude entered service in late 2015. New models coming into the market will spur demand, Honeywell says. ORLANDO — Honeywell Aerospace’s new 10-year forecast projects market demand for 8,600 new business jet deliveries valued at $255 billion. That is a decline of 6-7% by value over Honeywell’s 2015 forecast. Honeywell revised its forecast downward as the business jet industry continues to face slow near-term orders from a slow-growth economic environment in many markets around the world, the company said. Honeywell released its 25th annual forecast during a media briefing Oct. 30 ahead of the National Business Aviation Association Convention & Exhibition in Orlando. “While developed economies are generally faring better, commodities demand, foreign exchange and political uncertainties remain as concerns,” said Brian Sill, Honeywell Aerospace president of commercial aviation. An increase in late-model used aircraft inventory for sale also impacts the sale of new aircraft. Used pricing has not stabilized across the board. When prices are falling, buyers tend to wait to make a purchase. Honeywell forecasts 2016 business jet deliveries to total 650-675 units, down slightly from 2015 deliveries, due to slower order rates for mature models and stabilization of deliveries to fractional providers. Deliveries are projected to fall slightly again in 2017 as buyers transition from older models to new models scheduled for delivery in late 2017, 2018 and 2019. Longer range, the outlook through 2026 projects a 3-4% average annual growth rate as new models and improved economic performance contribute to the increase. In a survey, operators say they plan to make new jet purchases equivalent to about 27% of their fleets over the next five years as they replace or add to their current fleet. That is an encouraging increase over a year ago, Park said. Of the purchase plans, 21% of them are expected to occur by the end of 2017 and 18% are scheduled for 2018 and 2019. Historically, range has been the most important factor in the purchase of a business jet. Range remains critical, but today, operators are pointing to brand preference as a significant factor in choosing a specific make and model, Park said. The kind of service and treatment they receive is key, especially as there are more products to choose from. One surprise in the survey was the improvement in general interest by operators in almost nearly every region of the world, Honeywell said. In the BRIC regions of Brazil, Russia, India and China, buying plans improved by operators in China and Russia with slight gains made in the larger Brazilian outlook, the forecast said. Purchase plans rebounded off 2015 lows. Brazil remained a bright spot by recording the strongest new aircraft purchase plans in the survey. Operators said 38% of their intended jet purchases are scheduled for the next two years. In Asia Pacific, operator enthusiasm seems to be improving, with operators planning to make new jet purchases equivalent to 38% of their fleet over the next five years, the forecast said. That is roughly double from 2015 levels and reflects optimism extending beyond the China market. 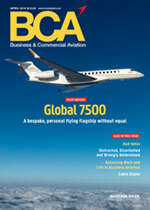 Asia Pacific could reflect a 6% share of new jet demand over the next five years, it said. Operators in the Middle East and Africa reported improvements in purchase plans, which was unexpected given another year of significant political upheaval, ongoing conflict in the region and only slightly improved oil prices, the forecast said. Twenty-one percent of respondents in the region said they planned to replace or add to their fleets with a new jet purchase, up from 16% a year ago. In Latin America, 27% of the fleet is expected to be replaced or expanded with new jet purchases, down 2-3 percentage points from last year’s survey. Some of the larger traditional markets lowered their purchase expectations this year. But surprisingly, resilience in the Brazilian operator base offset the “darker mood” elsewhere in the region, the forecast said. In the region, 47-48% of the planned purchases are expected to take place from 2016 to 2018. In North America, where 65% of the demand is projected, new jet purchase plans rose 5 percentage points over a year ago. The fleet and operator base has expanded, supporting solid demand, the forecast said. New aircraft acquisition plans in North America are critical because of the region’s size and the unsettled conditions elsewhere in the world, it said. In Europe, new purchase plans improved from a year ago, despite political tensions, the uncertainty of Brexit, a migrant and refugee surge and depreciated currencies. In Europe, purchase expectations are up. Europe’s fleet has not expanded in recent years and many aircraft have migrated to other regions. Europe’s active fleet is slightly lower despite an infusion of new jet deliveries, the forecast said. Of projected purchases, 26% are projected to take place through 2017, with 15% of them to take place in 2018 and 15% in 2019. Operators in the 2016 survey said they were planning to fly more in the next year, which would be a welcome outcome, Park said. Operators reduced their used jet purchase plans by 8 percentage points from a year ago, which equates to 24% of their fleets in the next five years. About 10% of the used fleet is up for sale, down from a high of about 16% in 2009 but up from the low reached last year. Inventory levels are trending up and asking prices are heading lower.